What are your thoughts on colour trends? I was looking through my recently received Mix Magazine by Colour Hive Issue 47 and as I pondered the “Filter Colour Trend”, it made me think about colour trends in general and how we are all influenced by them. As a designer, I feel obligated to consider industry trends but also, as a consumer, I often feel manipulated. Again, as a designer, I feel I have the confidence to buck the trend and create my own take on it if I so desire but I was wondering how the every day person felt. Do you take an interest in the trends each year? Do you consider what influences the trends? 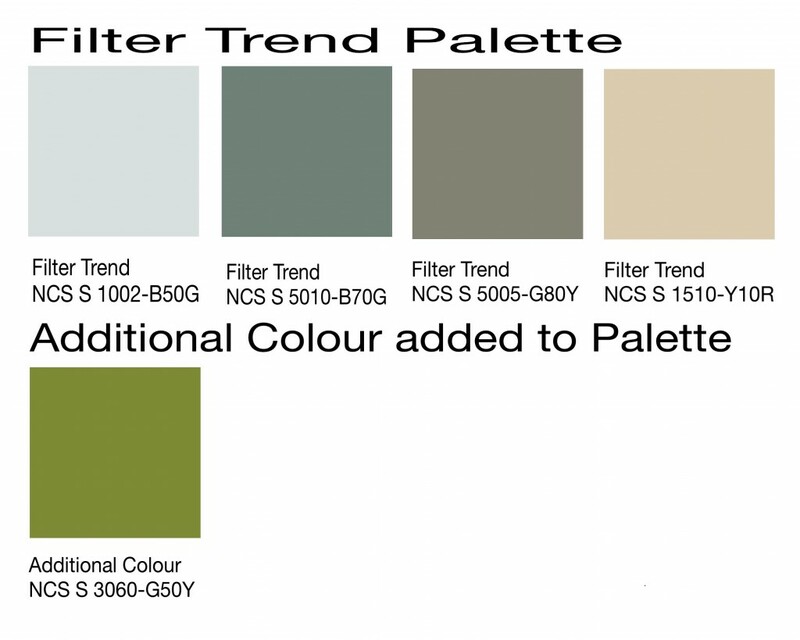 Would you consider using a trend palette because it is considered the latest fashion? Would you steer clear of an industry trend, just to be seen to be different? Do you take elements from a trend palette and make it your own? Do you like to make changes each year to your decor and update regularly? Does a colour trend influence all aspects of your life – home, wardrobe, car? The image above was taken randomly from iStockPhotos and I chose it because the colours represented the Filter Trend brilliantly but with a twist. In the swatch image, I have presented the colours in two groups. 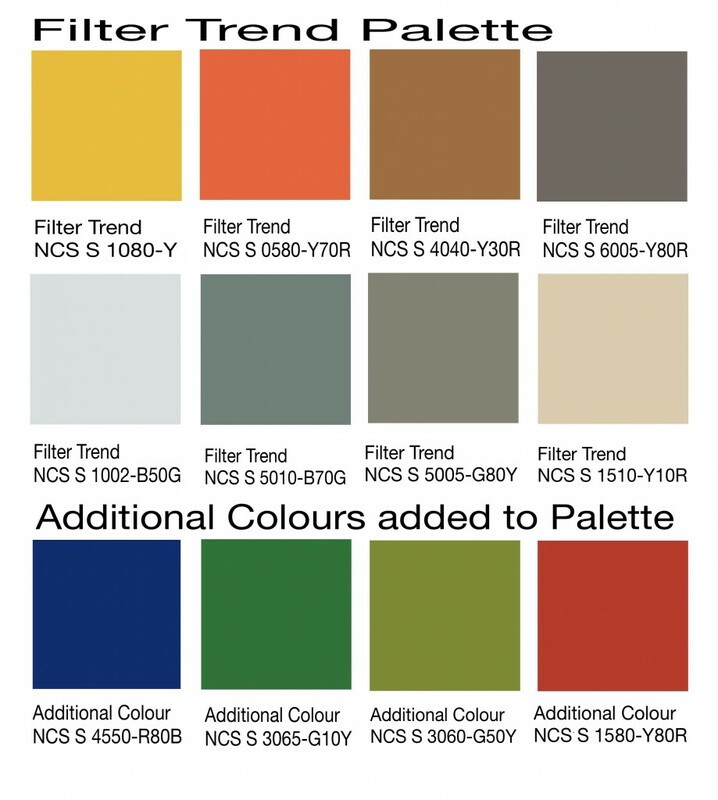 The first 8 colours are from the trend palette and the last four colours, referred to as the additional colour palette, I introduced as a result of the image itself. 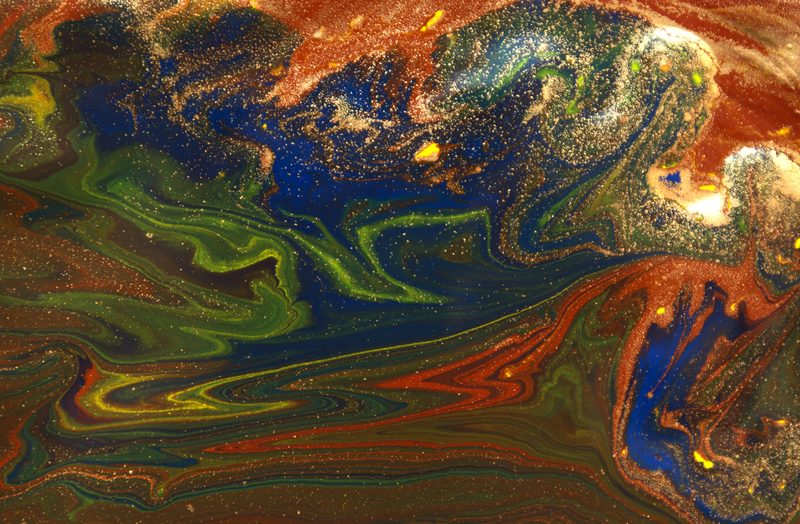 When colours swirl and mix together, there is great scope for additional colours to form. The message here is that you can use a trend palette for inspiration and perhaps build on that palette with your own additional colours or alternatively you can take just a few colours from the palette to create something quite different from the original trend. 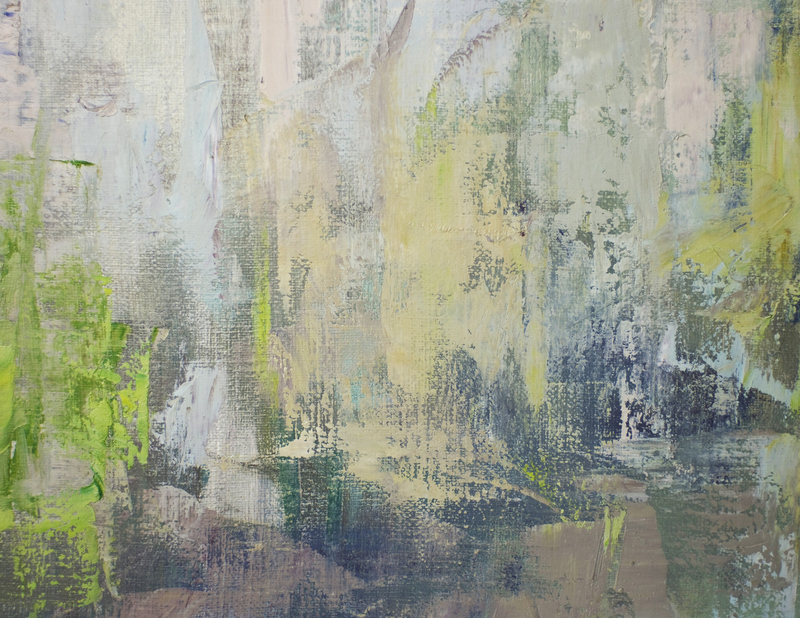 The above example shows how I took the first four colours from the trend palette and then added the new green, taken from the additional colour palette, to highlight the green within the painting. 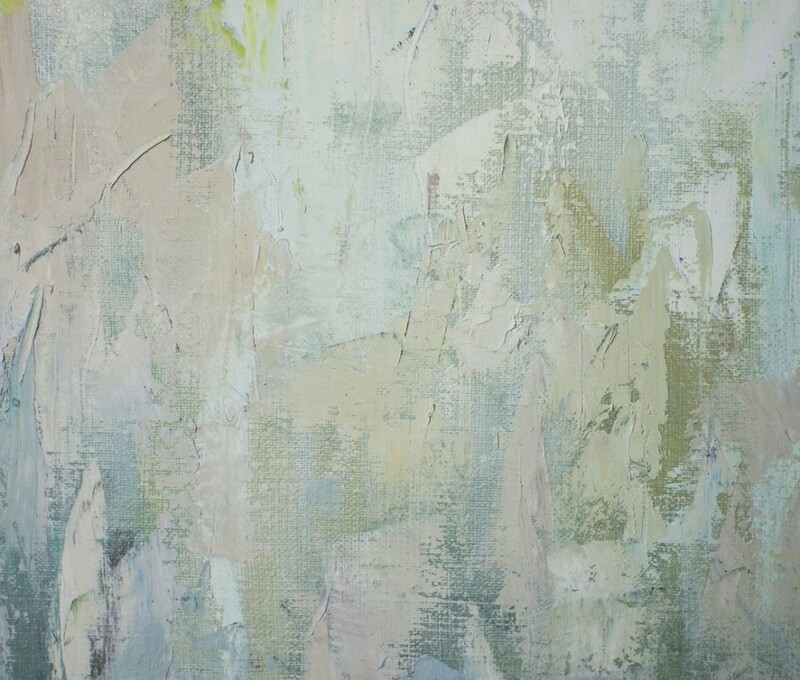 In a decor, using this new colour as your accent, for example in cushions, rugs, throws or accessories, you could make your environment quite individual and fresh. 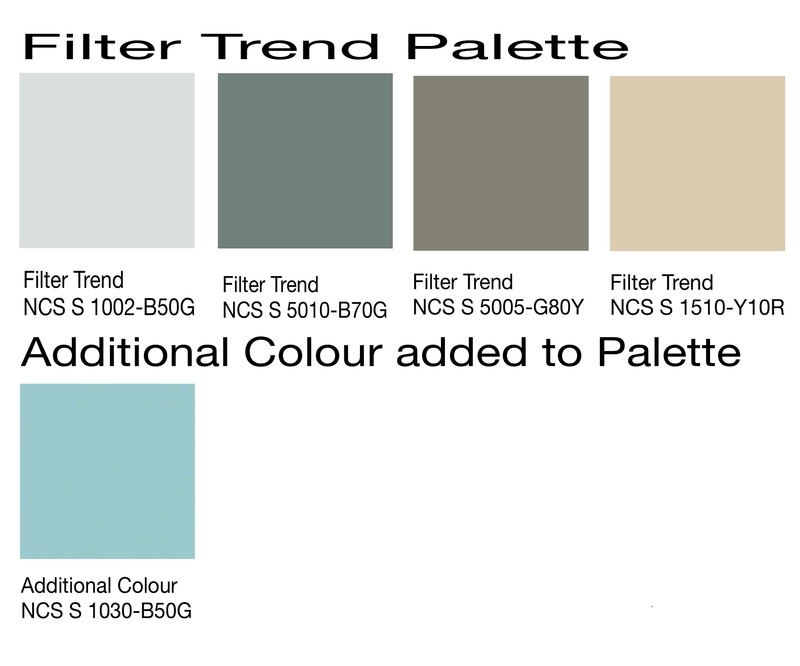 Example 2 uses colours from the original trend palette as well but again, you have a choice to make it your own by highlighting the teal colour. Remember, bringing colour into your decor can be done simply be introducing art and accessories, rugs and soft furnishings, wall paper and paint. 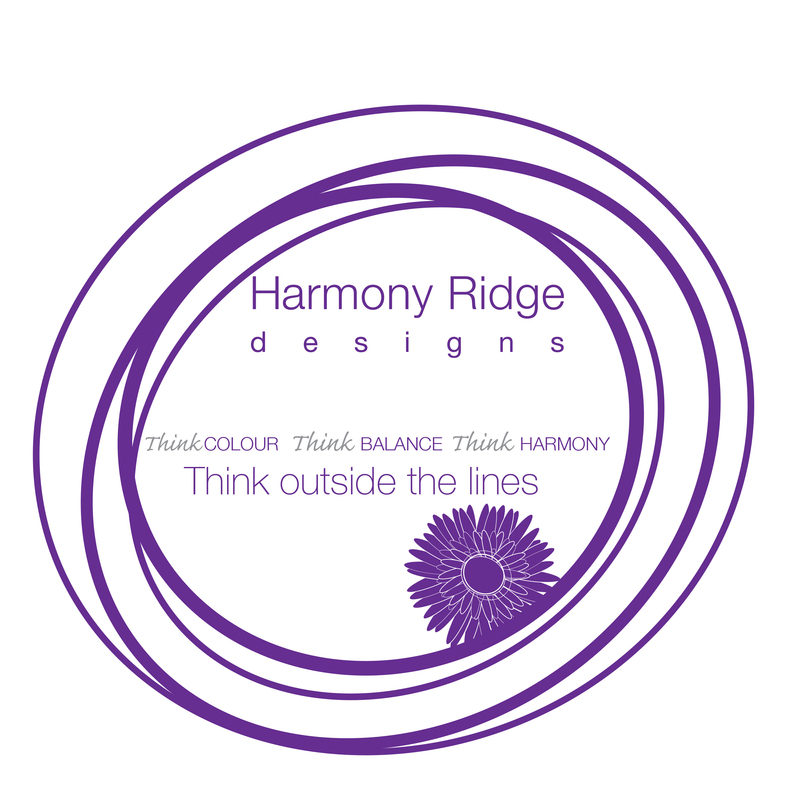 You can add a little or be bold with a lot of colour but either way, the trick is balance, in order to create harmony. When it comes to using colour in business and personal branding, again, you can follow trends to the letter or you can be inspired and improvise, creating your own version. Doing this and selecting colour palettes to suit the purpose and branding message will help longevity in your decision. Not being on trend completely, means you then don’t appear to be outdated in the future. Colour can be challenging but it is a vital part of the design jigsaw puzzle, so do give it some thought. Meanwhile, have fun exploring the endless opportunities and if you need some help, I would be delighted to consult on your project. This entry was posted in Jane's Blog and tagged Branding, colour, Colour Hive Issue 47, design, Harmony Ridge Colours, harmony ridge designs, interior design, MIX Magazine, NCS Colour System, New Colour Trends 2018/19. Bookmark the permalink.